Day1: Arrival in Livingstone, guided tour of The Victoria Falls and then road transfer to Toka Leya Camp, Mosi-oa-Tunya National Park, Livingstone. Days 2, 3 & 4: Road transfer to Livingstone Airport, then fly to Kasane for a river boat cruise in the Chobe National Park, and then fly to Linyanti Discoverer Camp, Linyanti Concession. Days 5, 6 & 7: Fly to Khwai Discoverer Camp, Khwai Concession, north-eastern Okavango Delta. Days 8, 9 &10: Fly to Jacana Camp or Xigera Camp, Moremi Game Reserve / Okavango Delta. Day 11: Fly to Maun Airport. INCLUDED – accommodation on a per person sharing basis, all meals from dinner on Day 1 to the end of the scheduled safari, a reasonable amount of soft drinks, mineral water, fruit juice, house wine and beer, as well as local spirits such as gin and Amarula while on safari, National Park fees, scheduled activities, guided tour of The Victoria Falls (on the Migration Routes) road transfers and internal charters on a seat-rate basis, as specified in the itinerary. EXCLUDED – flights (other than specified in the detailed safari itinerary), visas, compulsory comprehensive insurance, all relevant entry and departure Government taxes, all personal purchases (including curios, spirit liquors, telephone calls, etc. 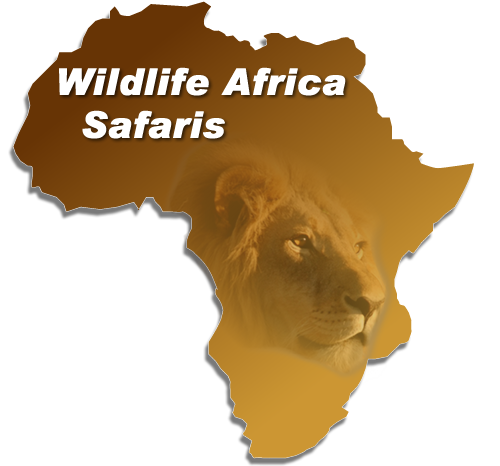 ), gratuities, laundry, optional extra activities, pre and post safari tours, all other travel arrangements pre and post the safari and any new Government taxes, levies, fuel or industry increases which are beyond our control. Days 1, 2 & 3: Arrive in Maun and fly by light aircraft to the Central Kalahari Game Reserve and game drive to Deception Valley Adventurer Camp. Days 4 & 5: Drive to Maun, then fly to Xigera Camp, Moremi Game Reserve / Okavango Delta. Days 6, 7 & 8: Fly to Linyanti Discoverer Camp, Linyanti/ Chobe. Day 9: Fly to Kasane for a river boat cruise in the Chobe National Park and then drive to Toka Leya , Livingstone. Day 10: Guided tour of the Victoria Falls and road transfer to Livingstone Airport.